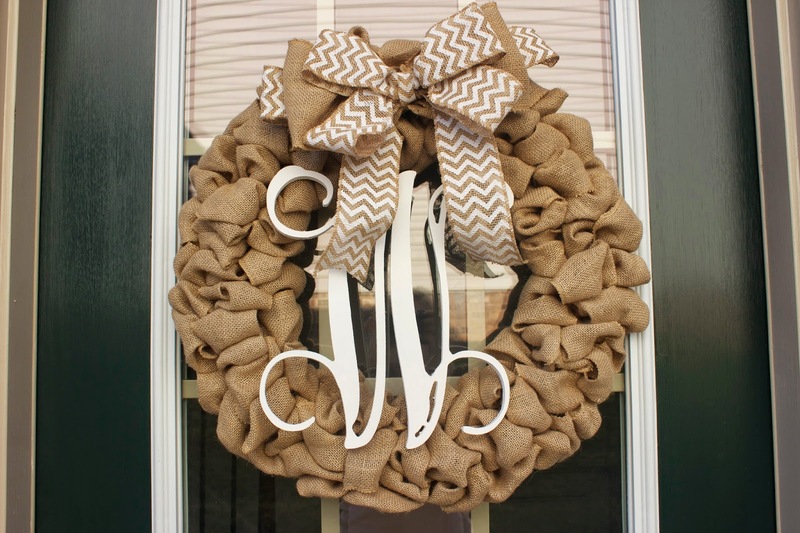 I recently crafted this wreath for our front door. I have to say I am really happy with the way it turned out although making it was definitely a labor of love. It wasn't so much difficult per se as it took me a while to figure it out and get into a kind of rhythm. Then, I kept running out of burlap. It would have been beneficial to have read a tutorial before I purchased the supplies and decided to give it a try. 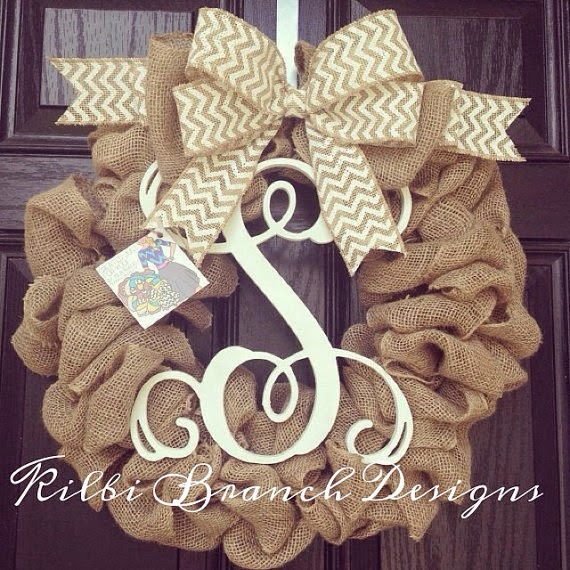 I originally fell in love with this wreath on Etsy, which is absolutely gorgeous but was marked at $85.00. It is so pretty but I was absolutely convinced I could make it myself for less. 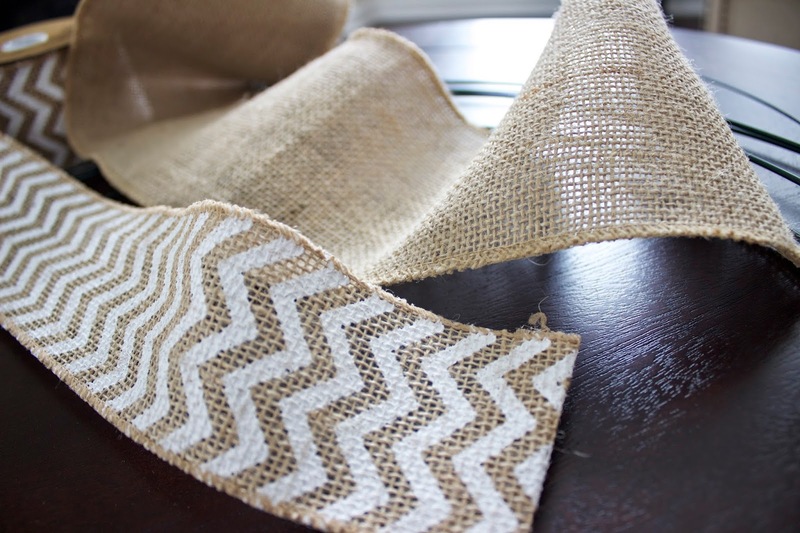 I found my plain burlap at the Michael's just a couple miles from our house but had to go on quite the hunt for the chevron burlap. I ended up finding it at Hobby Lobby. 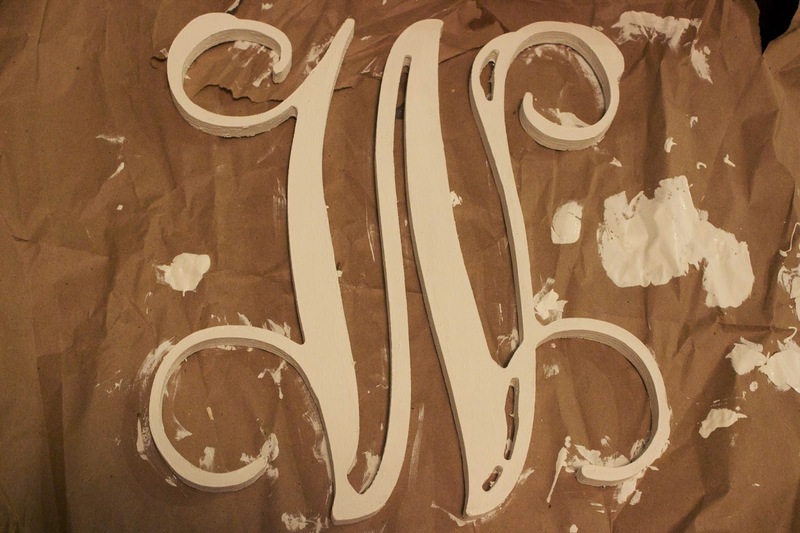 I ordered the monogram "W" from this Etsy shop and painted it white to match the burlap. It was only about $7, which I thought was quite the steal, and shipped super quickly. This tutorial gave taught me how to make my bubbles and once I got those down, the rest was a piece of cake. 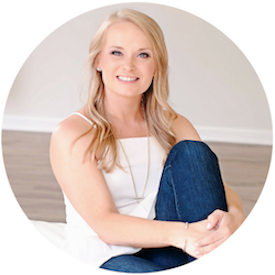 The perfect activity while sipping on a glass of white wine. Didn't it turn out pretty adorable? I made one so similar to this! You obviously have great taste :) happy Tuesday! I love it! Very cute. This looks beautiful. I need to make a new summer wreath. I cannot wait to give this a try.